We all define our lives in different ways, whether we define it by how others view us, our past or our position in life. God wants to redefine our lives. 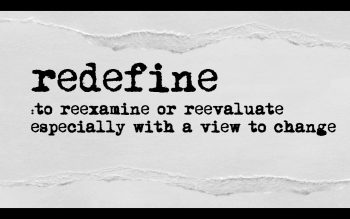 Paul shares in his letter to the Galatians how the Gospel of Christ redefines everything. It not only changes how we view ourselves, (Gal. 4:7) but it also changes how we choose to live (Gal. 6:8b).